Identify workplace boundary challenges and enhance understanding of boundary dilemmas. How to define your harassment policies and procedures. Learn how to respond appropriately with “real” workplace scenarios in small groups. 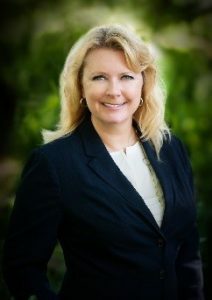 Kristina Dietrick, PHR, SHRM-CP, President and Owner. Kristina has over 25 years of experience in Human Resources, and prior to acquiring HR Partners, she held several executive-level Human Resources positions in the agricultural, behavioral health and health care industries. At HR Partners, Kristina provides Human Resources support and solutions to a variety of businesses, professions and organizations throughout the Midwest and is often invited to address large corporate conventions on Human Resources issues throughout the United States. Kristina received her Bachelor of Arts from Washburn University and holds the Professional in Human Resources (PHR) designation. Kristina also holds the Society for Human Resource Management Certified Professional (SHRM-CP) designation.